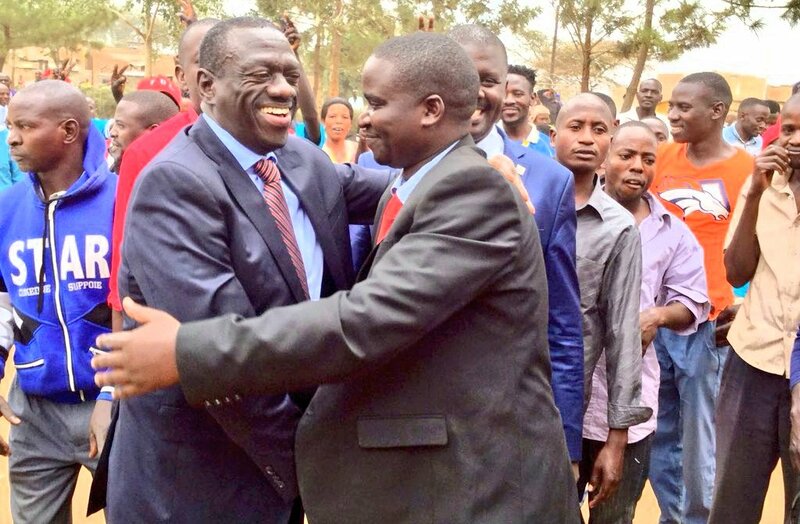 ISINGIRO – Dr Kizza Besigye, Maj. Gen (Rtd) Mugisha Muntu and others party leaders have dismissed allegations that there is a crisis in the party, saying the rumours are being spread by selfish individuals who will not succeed. 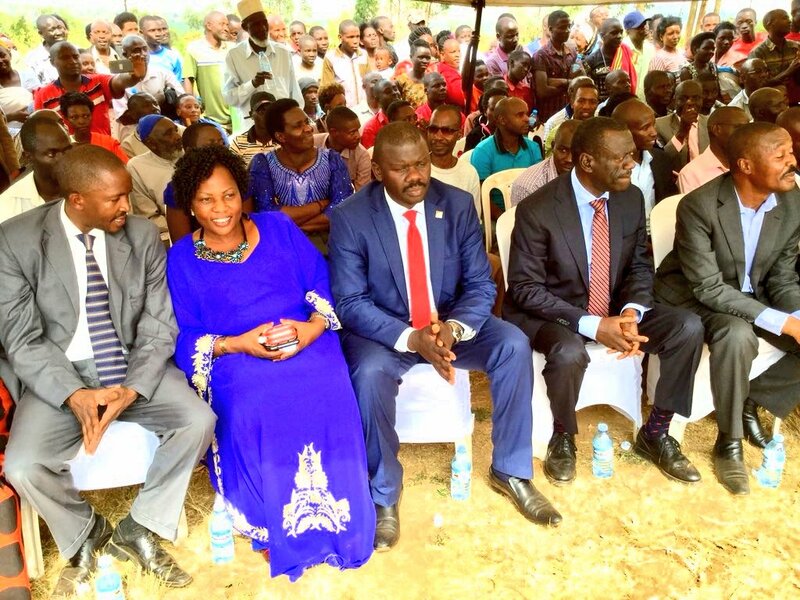 The leaders made the remarks in Endinzi Town Council, Isingiro District, on Friday during the victory party for the newly elected mayor, Mr Aaron Turahi, who took the seat on July 24 after defeating NRM’s Elson Musiime. The FDC vice chairman for western region, Mr Roland Kaginda, described talk of a crisis as propaganda from the ruling party enthusiasts. “There are people in government who have been deployed to disorganize other political parties. President Yoweri Museveni said in broad daylight that by 2021 he wants opposition to be no more. I want to tell him from this place of Endinzi that that’s a lie. Opposition will not be eliminated. With what we have gone through since 2001 we can be taken as idle people. We shall carry on with the struggle,” said Mr Kaginda, who is also the Rukungiri Municipality MP. Gen Muntu also said that what people call a crisis in the party is simply a clash of strategies among members intended to move the party forward, adding that this is normal. “It’s not about positions; it’s not about anything else. The contestation is between the two different strategies; some people don’t understand that. They look at the symptoms; they don’t look at the causes of what is happening,” the former party president said. The remarks come on the backdrop of allegations that FDC MPs, who lost party positions in Parliament during a recent reshuffle by party president Patrick Amuriat, were disgruntled and want to form a splinter party. The group that includes former Leader of Opposition in Parliament Winnie Kiiza backed Gen Muntu’s failed bid to win the party presidency for the second term. However, on Friday Gen Muntu urged the party supporters not to be anxious or worried about the move. “We are people who are careful in whatever we do, we are not erratic, we are not emotional, everything we do we do it in a measured way; we do a deep analysis of the situation that may be prevailing like now. We are still doing analysis we will be able to make decisions and do the right things,” he said. “We thank people of Endinzi who were bold enough to vote for Aaron to protect the vote and enable him to become the mayor. We want Aaron to be a good example so that the in-laws increase; we intend to take the rest of the country and take power and manage the power better,” he added. 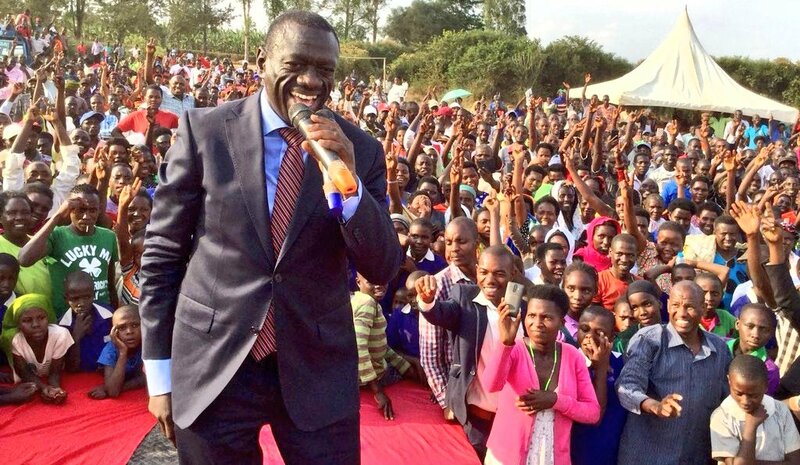 Dr Besigye said Mr Turahi’s victory should open people’s eyes, adding that NRM area leaders have been doing everything possible to keep Isingiro residents blind. “Isingiro is now seeing. Aaron is our distinguished leader in Endinzi…ladies and gentlemen, especially youth, this is the time, work with Aaron and we raise our country; those intimidating their time is over,” he said.